A word processor is a software that allows us to create, edit, view, format and print text document in the computer. Most widely used computer word processing software is Microsoft Word, Word Perfect, Word Star etc. Ms-Word is one of the popular word processing software. 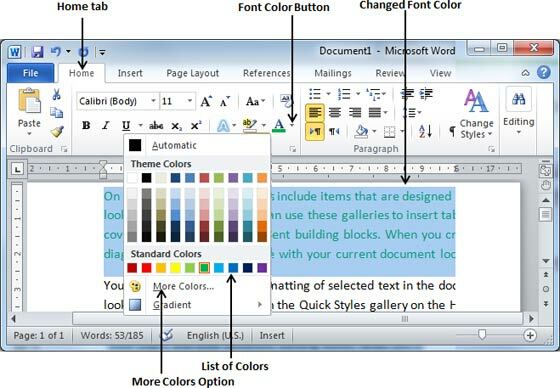 Ms-Word is developed by Microsoft Corporation, USA. It allows us to create any types of text documents. 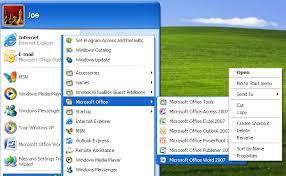 Ms-word program is available in different versions such as Ms_Word 2000, Ms-Word 2003, Ms-Word 2007, Ms-Word 2010, etc. With Ms-Word, we can create a simple document. Step 2: Move the mouse pointer over All Program Option. Step 3: Move the mouse pointer over Microsoft office option. Step 4: Click on the Microsoft Office Word 2007. Then Word window appears on the screen. 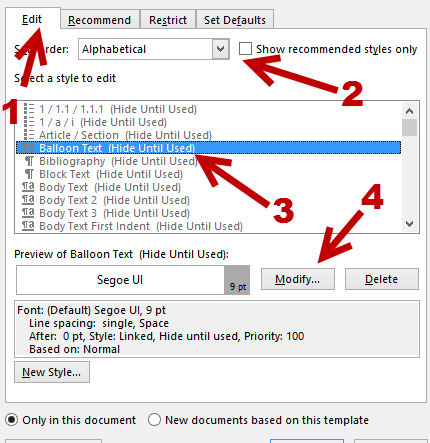 How to break page using Ms-Word? A page break is a code inserted by the software program that tells the device where to end the current page and begin the next. Step 1: Click Insert on the file menu. Step 2: Select Break from the drop down. 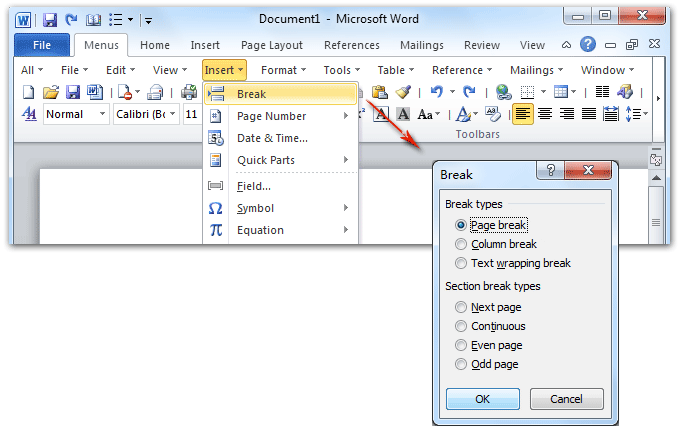 Step 3: Select Page Break and click OK.
Microsoft Word supports the shortcut key Ctrl + Enter to insert a page break. Step 1: Select the text you want to change the font type. Step 2: Click on the drop down arrow of Font button in the Font group on the Home tab. The list of font types will appear. Step 3: Click on the font name that you want to apply. Step 1: Select the text whose size you want to change. Step 2: Click on the drop-down arrow of the Font size button in the font group of the Home tab. Or, Microsoft Word support the shortcut key Ctrl + ] to increase or Ctrl + [ to decrease the font size. Step 1: Select the text whose color you want to change. Step 2: Click on the drop down arrow of the Font color button in the font group of the Home tab. Then color box with different colors will display. Step 3: click on the desired color from the list. Step 1: Select the word which you want to highlight. Step 2: Click on Highlight button. The Format Painter will copy formatting from specific portions of your document and apply it to other portions of your document. 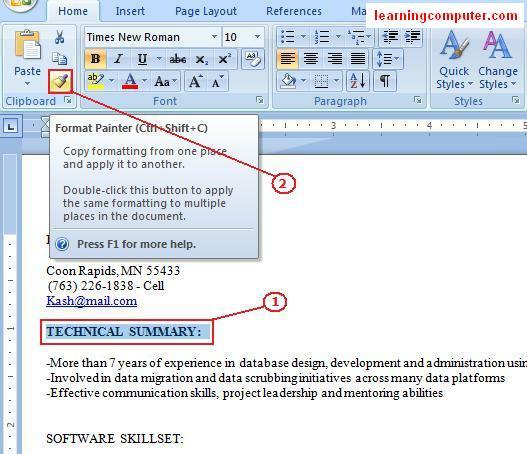 Step 2: Select the portion of your document where you would like to apply the formatting. If you would like to apply the formatting to several portions of your document, double-click the Format Painter button after selecting the portion of your document containing the formats you would like to apply. 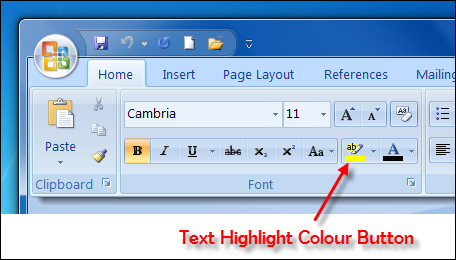 Different font styles such as bold, italic and underline are available in Ms-Word. Step 1: Select the text you want to make Bold, italic or Underline. Step 1: Place the cursor on the page where you want to insert the new table. Step 2: Click on the Insert Tab. Highlight the number of row and columns. Click on Insert Table and enter the number of rows and columns. 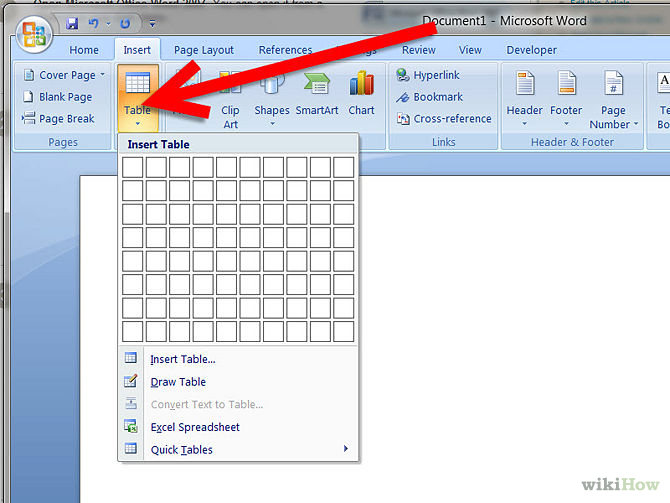 Click on Draw table, create your table by clicking and entering the rows and columns. Click on Quick Tables and choose a table. 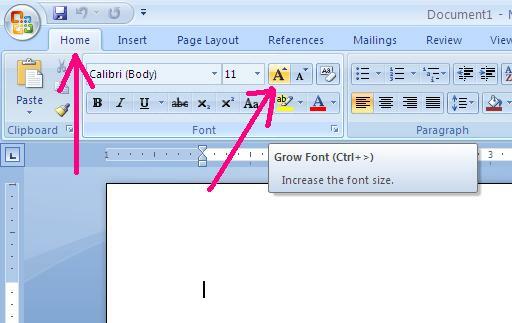 Step 1: Place your cursor in the document where you want the symbol. Step 2: Click on Insert Tab. Step 3: Click the Symbol button in the Symbols group. Step 4: Choose the appropriate symbol. Step 3: Click the Equation Button on the Symbols Group. Step 4: Choose the appropriate equation and structure or click on Insert New Equation. 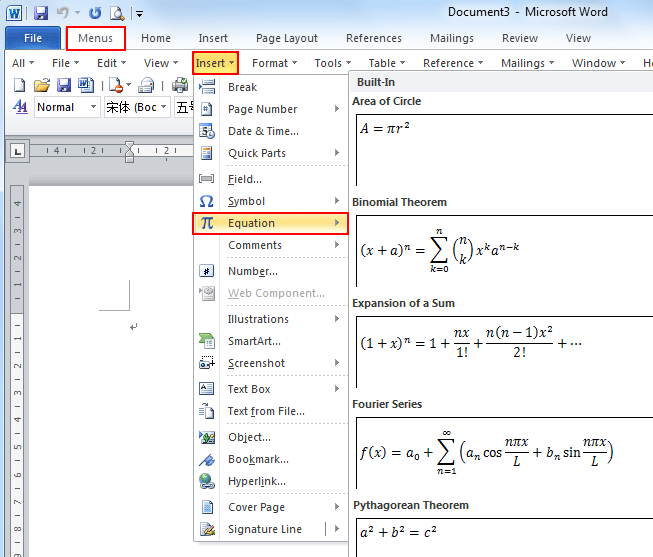 Step 5: To edit the equation, click the equation and the Design Tab will be available. Step 1: Place the cursor in the document where you want to insert the picture. Step 2: Click on Picture button from the Illustration group of Insert Tab. Then picture dialog box will appear. Step 3: Browse the picture from the box and select it. Step 4: Click on Insert from the Insert picture dialog box. Step 1: Place your cursor in the document where you want to insert SmartArt. Step 2: Click the SmartArt button from the Illustration group of Insert Tab. Step 3: SmartArt Graphic dialog box appear. Step 4: Choose the SmartArt types or style from the box. Step 1: Click where you want to insert the chart in Word document. Step 2: Click on the Insert tab then Click on the Chart option from the illustrations group. Step 3: In the Insert Chart dialog box, click a chart, and then click OK. 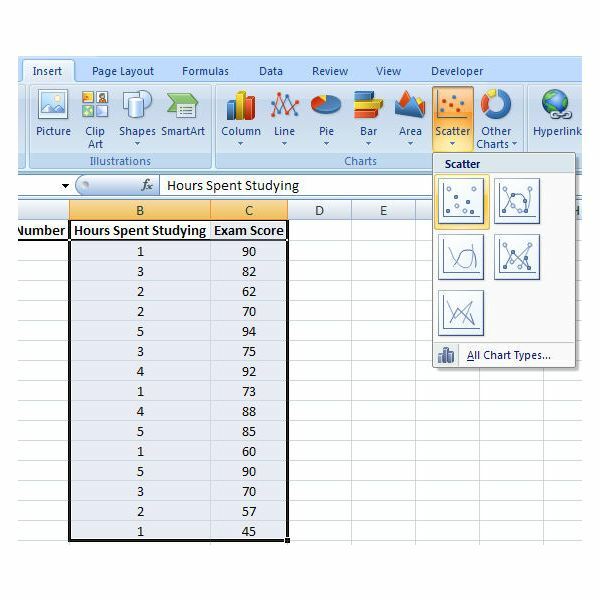 Step 4: Office Excel opens in a split window and displays sample data on a worksheet. Step 5: In Excel, replace the sample data by clicking a cell on the worksheet and then type data you want. After you update the worksheet, the chart in Word will be updated automatically with the new data. Step 6: In Excel, click the Microsoft office Button, and then click Save As. Step 7: In the Save As dialog box, select the folder or drive that you want to save the worksheet to. Type a new name for the file then click on the Save button. Then close the Excel window. Step 1: Click on the Page layout tab. Step 2: Click on the Watermark button in the Page Background group. Step 3: Select the desired watermarks. 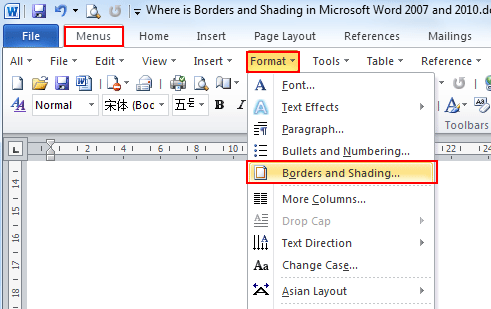 Borders can be applied to many different objects in word. The shading tab in the Borders and Shading dialog box allows us to apply shading to a paragraph or piece of text. Step 2: Click on the Page Border button in the Page Background group. Step 3: Select different types, styles, colors, widths from the respective headings. Step 1: From the Boarder and Shedding dialog box, click on the Shading tab. Step 2: Click on the fill drop down button and choose required shading color. Step 3: Click on OK button. 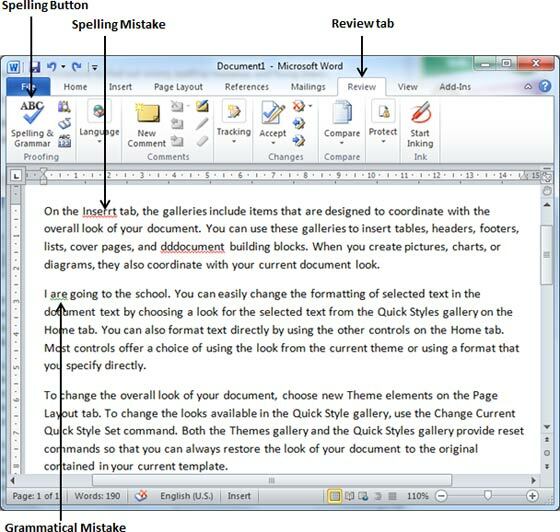 Ms-Word checks spelling mistakes and grammatical error in our document and then inform us where the mistakes are. The spelling mistakes words are underlined with red line and grammatical errors are underlined with green line. Step 1: Click on the Review tab. Step 2: Click on the Spelling and grammar button from the proofing group. Then the Spelling and Grammar dialog box will appear. Step 3: Select the correct spelling from the given list. It is a powerful tool for writing and sending a personalized letter or e-mail to many different people at the same time.Mail Merge imports data from another source such as Excel and then uses that data to replace placeholders throughout your message with the relevant information for each individual you are messaging. Ms-Word is one of the popular word processing software. Most widely used computer word processing softwares are Microsoft Word, Word Perfect, Word Star etc. A word processor is a software that allows us to create, edit, view, format and print text document in the computer. 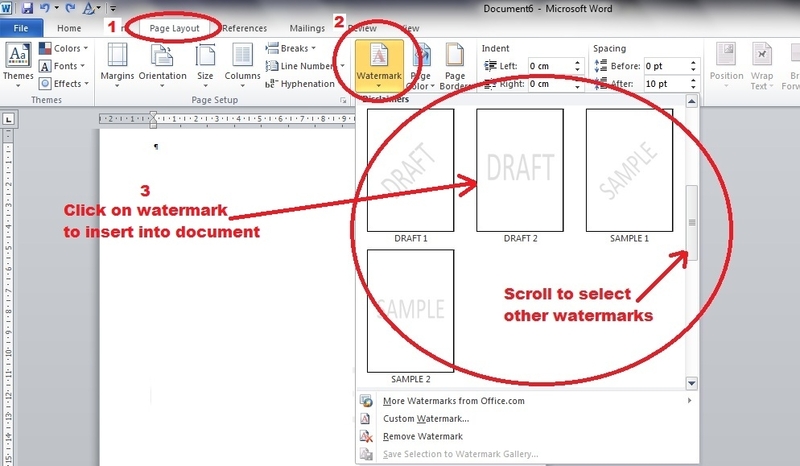 Watermark may be any text or design that appears behind the text on our document. Smart Art is a collection of graphics that can be utilized to organize information within our document. Define word processor with examples. A word processor is a software that allows us to create, edit, view, format and print text document in the computer. 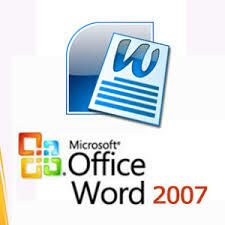 Most widely used computer word processing software are Microsoft Word, Word Perfect, Word Star etc. Define Mail Merge with its advantages. Mail Merge is a powerful tool for writing and sending a personalized letter or e-mail to many different people at the same time. Mail Merge imports data from another source such as Excel and then uses that data to replace placeholders throughout your message with the relevant information for each individual you are messaging. 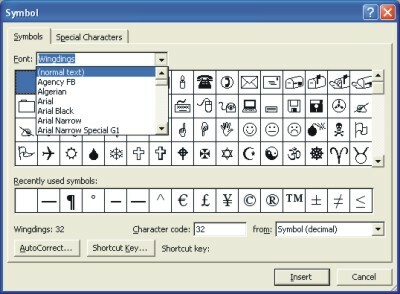 Special characters are punctuation, spacing, or typographical characters that are not generally available on the standard keyboard. _________ is a software that allows us to create , edit, view, format and print text document in the computer. Which of the following is not an example of Word Processing software? ________ a code inserted by software program that tells the device where to end the current page and begin the next. _______ are used to display data in tabular format. _________ a collection of graphics that can be utilized to organize information within your document. ______ is any text or design that appears behind the text on our document. Which of the following is a powerful tool for writing and sending a personalized letter or e-mail to many different people at the same time? Any Questions on 'Word Processing Program: MS-Word '?